Heat oil in a large skillet over medium-high heat. Add carrots and saute for a few minutes before adding parsnips. Stir often until vegetables are beginning to brown at edges, about 12 minutes. Season with salt and pepper. Vegetables can be made ahead and reserved at this point, if desired. Just prior to serving, add butter, rosemary, and honey to skillet with vegetables, and toss over medium heat until glazed and heated through. Sprinkle with chopped walnuts, if using, just before serving. 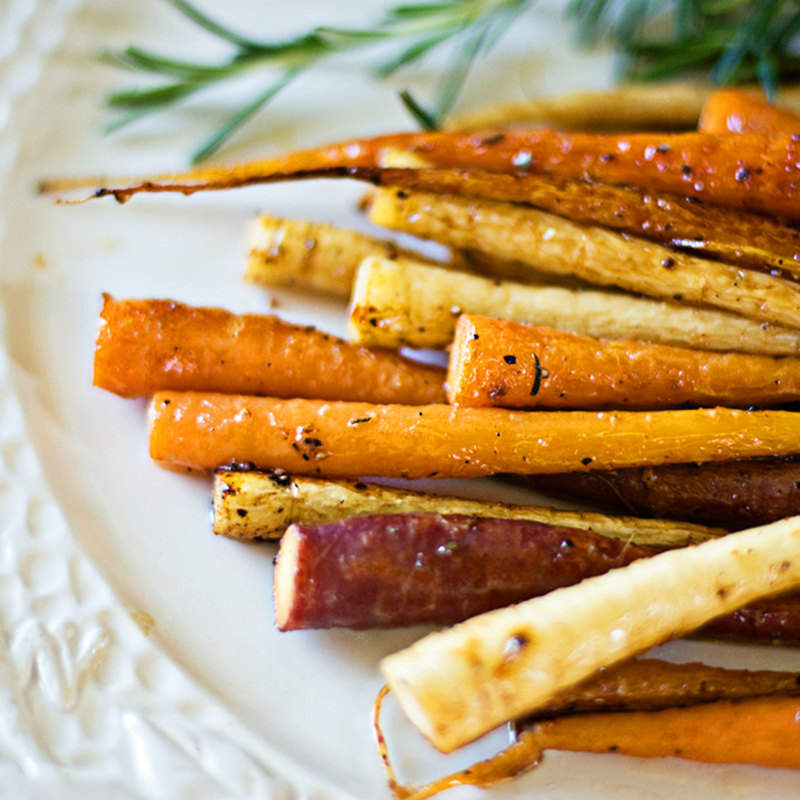 A super simple but great way to have those root vegetables, inspired by a recipe by Molly Stevens in Bon Appetit.